Is it snowing in Gstaad ?Thank you! Gstaad, in Switzerland, is a large resort with 53 lifts (inc 10 gondolas, 4 cable cars, 17 chair lifts and 22 surface lifts) that offers skiers an incredible 2000 metres (6562 feet) of vertical descent. 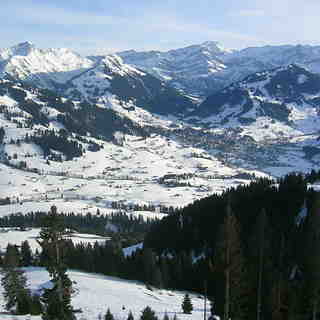 Gstaad has 80 pistes with a total length of 220 kilometers (136 miles). 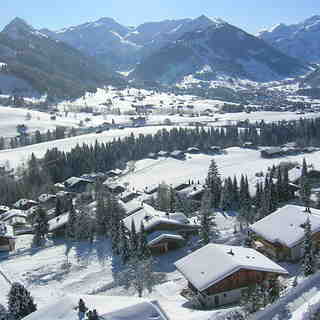 Gstaad is best suited to beginner skiers and snowboarders but there is some terrain for both expert and intermediates. 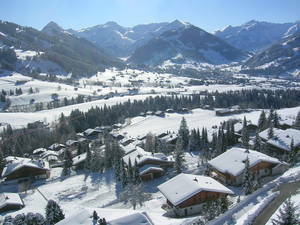 There are 170 kilometers of cross country ski trails at Gstaad. For snowboarders, there are 3 terrain parks. 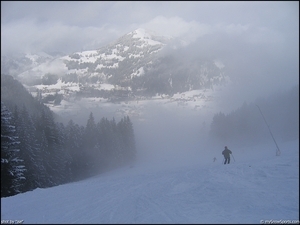 A small proportion of the pistes at Gstaad are covered by snowmaking. The closest airport is at Geneva but the transfer time is 2.5 hours. The nearest train station to Gstaad is in Gstaad itself. There is accommodation located close to the pistes. No lift queues... empty mountains... some great back-country if you know where to go! Don't let the price put you off! The Gstaad region is well worth a visit, and The Station in Chateau d'Oex serves the best steaks!